Line two baking sheets with parchment paper. Using a handheld or stand mixer, beat the egg whites, sugar, salt, and vanilla together on medium-high speed until foamy and completely combined. Fold in the coconut into the egg mixture, making sure the coconut is evenly moistened. Scoop 2-3 tablespoons of the batter into mounds on prepared baking sheet, about 2 inches apart. 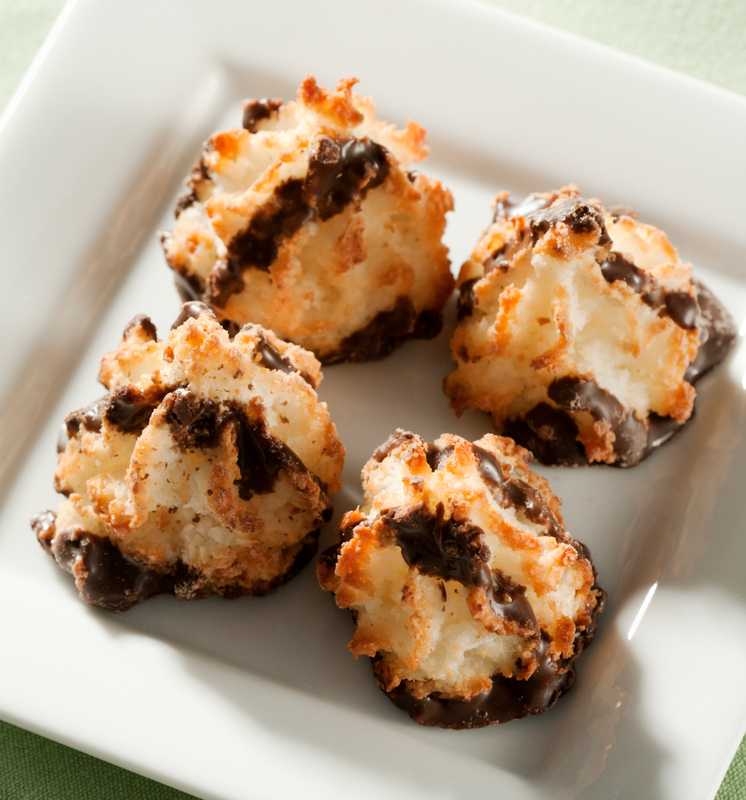 Bake the macaroons for 15-20 minutes (depending on size) or until golden brown, rotate the pans to ensure even baking. Let the macaroons cool on the baking sheet for about 5 minutes, then transfer to a wire rack to cool completely. Once cookies are cool – melt chocolate chips in a microwave safe bowl; check and stir frequently (use 30 second increments). Drizzle with melted chocolate or dip cookies in the melted chocolate and allow to harden before serving..